Here's a game that incorporates that idea. It really tests your memory! 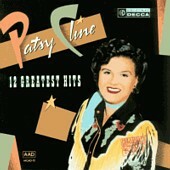 HOW WELL DO YOU KNOW PATSY'S SONGS? Why Cant You Be Him ? BUT ALL THAT HAS PAST. OUR LOVE DON'T MEAN A THING. YOU MADE ME MIGHTY PROUD. BUT YOU PREFER A CROWD. I BET WE NEVER QUARREL ANYMORE. BUT HIS KISSES LEAVE ME COLD. BUT I'D STILL TAKE HIM BACK AGAIN. DARLIN', DON'T EVER BREAK MY HEART. 9) I'VE GOT A SAD, SAD TALE TO TELL. I NEED A PLACE TO GO AND WEEP. I THINK OF ONLY YOU.